I finally got around to listing some of my post-show projects in my Etsy shop. No bites yet, but hopefully as the shopping season gears up more traffic will come my way. 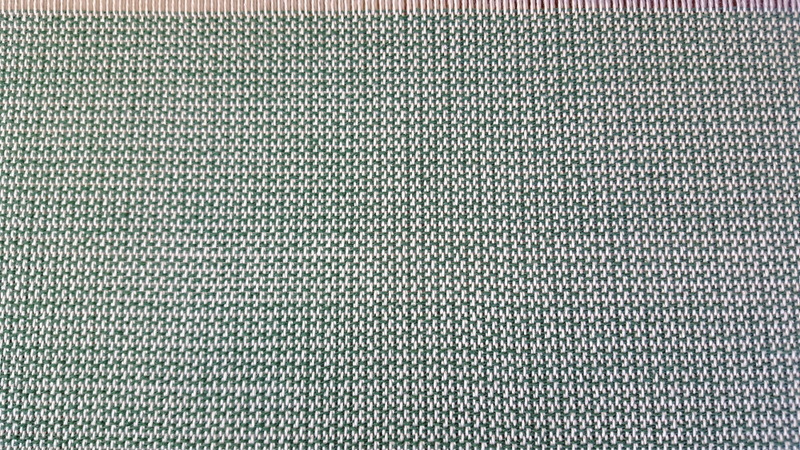 I've also started the long, green pebble/crepe weave towel warp. 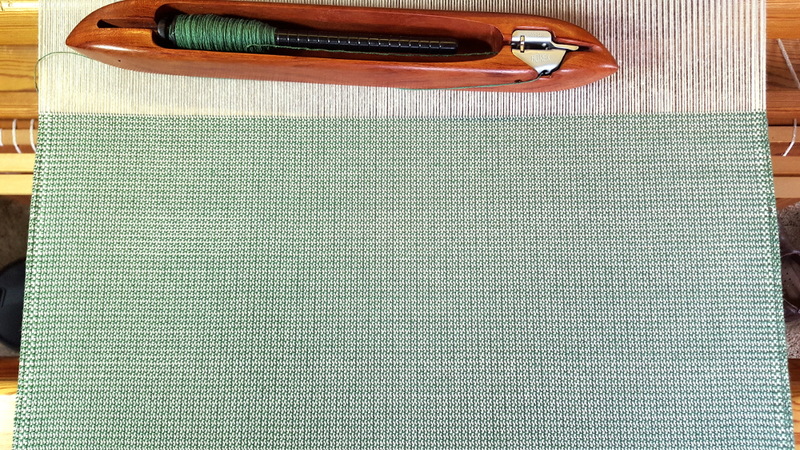 This has been a very easy warp to get on the loom and set up, which is a lovely change. Eleven yards of ringspun Georgia cotton, 4 shaft draft on my Standard. I only had one threading error, which I caught right away - I had missed the heddle eye, so easily fixed. So far I've wound 13 pirns of dark green, and I seem to use about 2.5 pirns per towels. 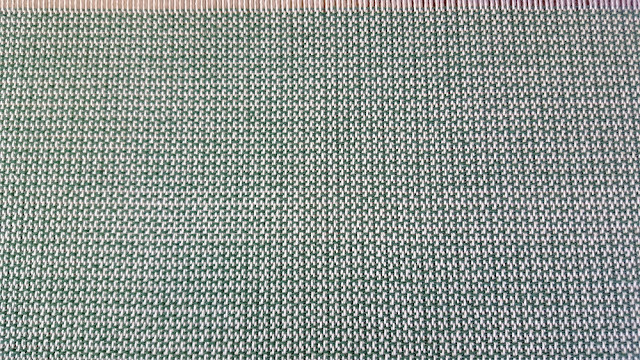 Five of the dark green have already been spoken for, and I'm hoping for 10-11 towels on this warp, so there will be a bit of variety towards the end. Other than that, work has been busy, and some free time has been spent starting to put the garden away for the winter. I've left the kale out, and some beets in the ground. I finally cut off the squash, and today I picked the last of the chard. It's been a good year for someone without a green thumb - I haven't had to buy salad greens all summer until last week. We're still getting some very odd weather around here. Several days have been in the 70's, and we've yet to get our first frost. That could happen tonight, as a cold front is coming through, but it's possible that we will just miss it, and the rest of the week is supposed to warm up again. I am certainly not complaining, but I do worry whether this is just an odd year, or yet another sign of the damage we have been doing to our planet. The garage now has electricity in it!! When I leave for work, it is often 6 o'clock in the morning, and it is pitch dark out. I have one of the mini-LED lights on my key fob, and use that to get to the garage safely, so I won't be leaving outdoor lights on. Now I have a three-way switch that turns on the garage lights in the house, and a switch out there that will turn them off! Yay! Hoping for the automatic garage door opener installation soon, but hey, progress! That's about all the news in this boring life of mine. Hopefully there might be something a bit more interesting next time.